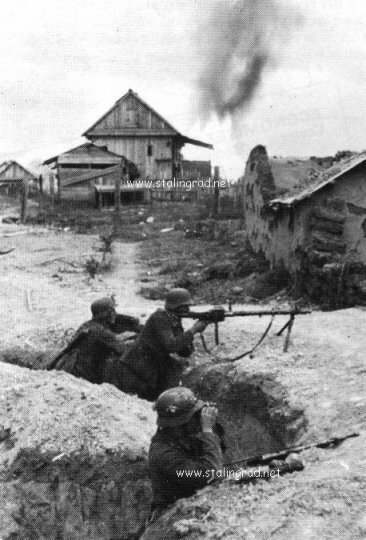 Stalingrad, the decisive battle of World War II. Russia by 1941. At first the huge German war machine focused on Leningrad and Moscow. This attack failed and so by the summer of 1942 Hitler wanted to invade southern Russia. Germany’s defeat in the second World War. recognized that air supremacy would be necessary for any successful invasion to take place. of action would be to invade the Soviet Union. stopped Napoleon set in. Hitler also greatly underestimated the power of the Red Army. then split up his forces to attack Leningrad to the north and the Caucasus as well as Moscow. Soviet air force. The Luftwaffe destroyed the largest air force in the world in only two days. Russia since at this point Germany could not match those numbers. 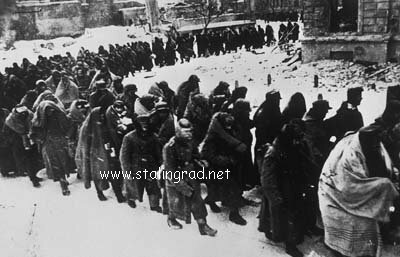 moved toward Stalingrad to help General Zhukov who was in charge of the defenses of Stalingrad. estimated 40,000 civilians. That same day the German army arrived in the suburbs of Stalingrad. already claimed victory just as Napoleon had in 1812, but this battle was far from over. had set up a sniper school headed by Vasily Zaitsev. Zaitsev had killed 40 Germans in ten days. merged into one continuous deafening roar.”. The overpowered Soviets had been driven back and Germany occupied 80% of the city. and overran the Romanian Third army which exposed the left flank of the German Sixth Army. his army were alone, surrounded, and at the mercy of the Russians and the cold winter. 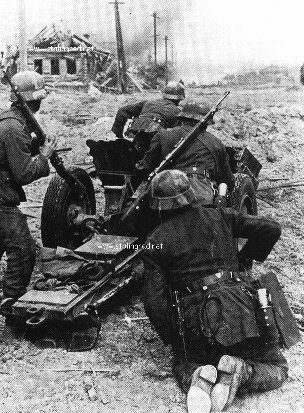 radioed to Hitler that it was hopeless, but Hitler insisted that Paulus would not surrender. off the flow of supplies. 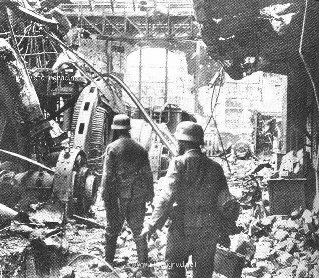 By this point the German army was almost out of food and ammunition. Thousands of soldiers were wounded but couldn’t be helped because there were no medical supplies. on February 2nd, 1943. The Russians took over 110,000 prisoners including 24 generals. that would not only reclaim all of their lost land, but would eventually bring them to Berlin. When Hitler heard of Paulus’ surrender he said,” The God of war has gone over to the other side.”. Soviets be allowed to advance greatly and then the Germans would cut them off and surround them. trying to bury themselves deeper to escape the terror, while clutching one another like children. Germans this was not enough, and so the Germans were forced to engage in battle. drivers of the Russian T-34 tanks to intentionally crash into the German tanks so as to destroy them. The fighting reached its peak on July 12th, 1943 when both forces were very close to each other. The air forces and artillery guns stopped firing so that they wouldn’t hit their own men. Americans had just landed in Sicily. The battle of Kursk was the biggest tank battle in history. Russian counter offensive which led to Allied victory in World War II. Operation Barbarossa was definitely the decisive factor in the outcome of World War II. Russia to win, but that they wanted the victory to be as costly for the Soviets as possible. had conquered from Germany. The three allies did agree on how Germany was to be split up. where fascism was seen as the common enemy, capitalism and communism became enemies. responded with their own offensive which eventually led to Germany’s defeat in World War II. of Nazi Germany’s peak and the beginning of its rapid decline until its final destruction in 1945.
global politics and never again would a war of such magnitude ever be forced upon the world.